GrandDiva's Creative Corner: More Layouts to Share!!!! Sharing two more layouts with you today! Scrap Our Stash revealed their first challenge today under the new challenge format. Click HERE for details on the challenge and how you can enter the drawing to win an awesome scrapping packet ! I hope to see some of you take the challenge! Paper Secret's first sketch challenge for the month of March has been posted. The twist this week is THICKERS!! 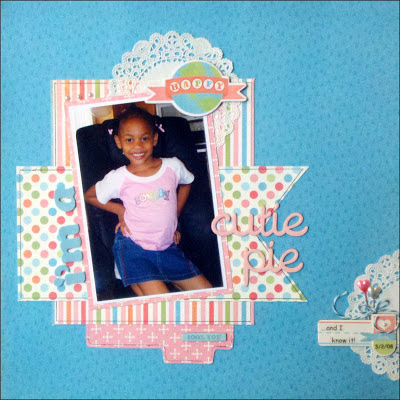 Click HERE to check out all of the wonderful examples created by the design team and the details on entering the challenge for your chance to win a $10 gift card to the Paper Secrets Store! that washi looks so bright against the kraft. What a great touch. Thanks for linking with The Paper Girls. Brenda, we're so thrilled that you're our Guest Designer at Sketches4All!! It will be great spending the week with you!